When I create quizzes, I create at least two that are similar with different numbers. This way I can pretest and posttest a math unit or use one version as a review. Today I want to share what I use for multiplying and dividing multiple digit numbers. 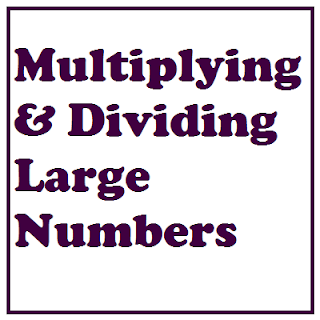 To download Multiplying and Dividing Large Numbers -- Quizzes with answer keys, please visit this post on Artistry of Education.